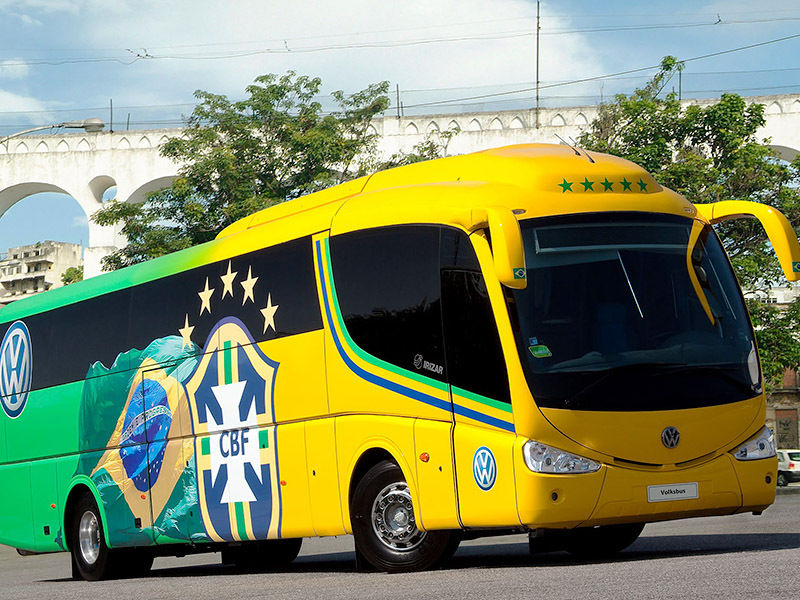 The Brazilian Soccer Confederation – CBF uses an MAN coach Volksbus 18.320 EOT model to transport players and officials of the Brazilian Soccer Team to their commitments in the national territory. The coach has the most modern equipment: four LCD screens, lockers to store materials, a bathroom, comfortable blue leather armchairs, and is painted in the CBF’s official colors. 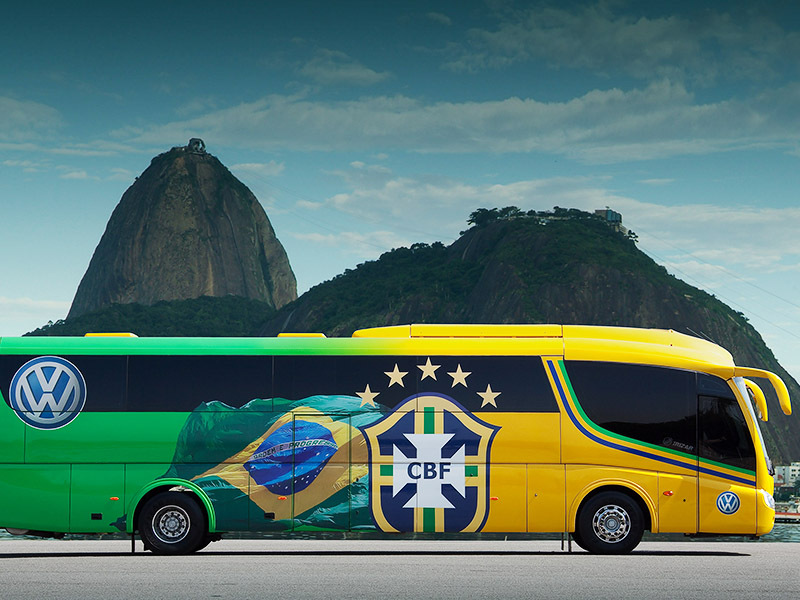 The players of the 15 most important Brazilian soccer teams already use MAN’s Volksbus coaches to transport their players. The project called “Seleção Volksbus” began in March 2009. The teams Corinthians, Santos, Vasco da Gama, Flamengo, Atlético Paranaense, Internacional, Grêmio, Sport, Náutico, Goiás, Palmeiras, São Paulo, Atlético Mineiro, Cruzeiro and Resende Futebol Clube received modern VW 18.320 EOT coaches made to order for the transportation of their players and officials. The internal layouts and external designs were customized according to the needs of each club. Some of them have rooms for meetings with independent audio and video systems, special armchairs or lounges for injured players, game tables and lockers for the use of the medical staff. Photo 1 "Brazilian Soccer Team"
Photo 2 "Brazilian Soccer Team"